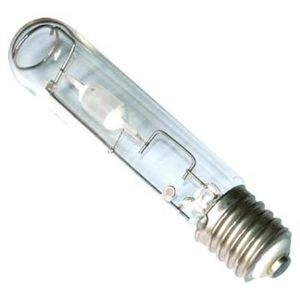 250 watt Hamilton 14,000K screw type bulb.Hamilton best bulb. Bright ice white blue appearance, full spectrum consisting primarily of high spikes in the 440 to 460 nanometer range with additional smaller spikes in 550, 590 and 690 nm range. Will bring out an attractive fluorescence from your fish and corals. Get desired actinic blue color effects without the need to add actinic blue fluorescents to your metal halide. Outstanding color .